Tucked away in the delightful UNESCO World Heritage walled town of Conwy, is the historic former coaching Inn, the Castle Hotel. 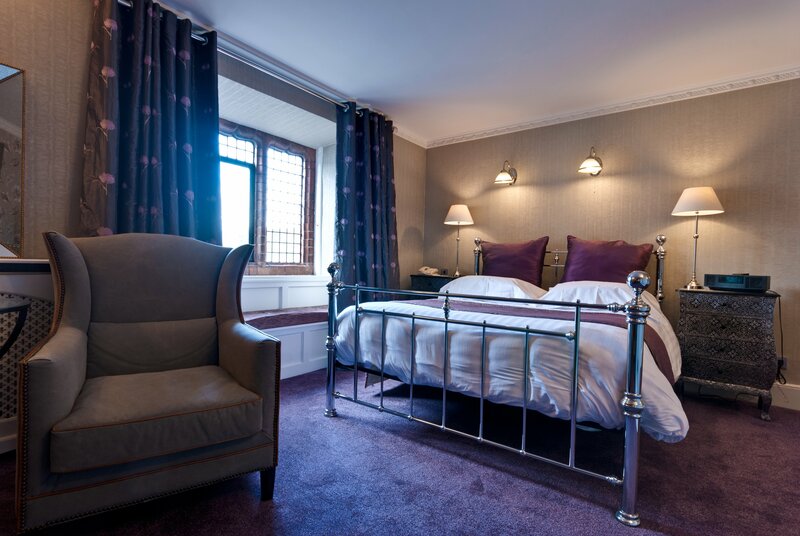 Built on the site of a 12th century Cistercian Abbey, the hotel oozes classic charm, with some of Britain’s brightest literary minds among the former patrons, including William Wordsworth, Samuel Johnson and Charlotte Brontë – who honeymooned at the Castle. 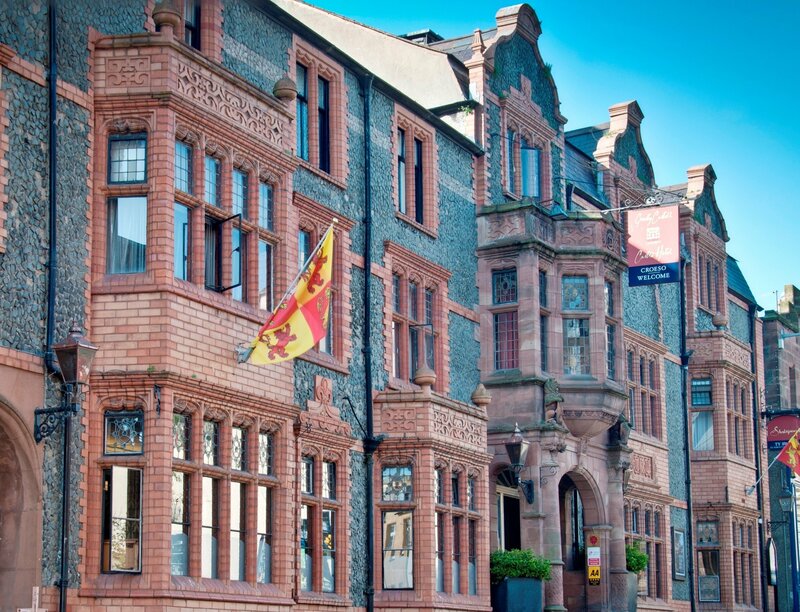 With its glorious flint-covered frame and fronted by a stunning red bricked porch, the Castle Hotel is one of Conwy’s most striking buildings. While the décor is full of delightful reminders of the Castle’s heritage, with antiques, fabulous fireplaces, beams, and even some Shakespearean scenes painted by venerable Victorian artist John Dawson-Watson – which he allegedly gave in return for his lodgings. Relaxation is also key at the Castle Hotel, where a splash of indulgence can be added to any stay with a pampering session at the onsite spa- the ‘Healing Hands’ treatment room. 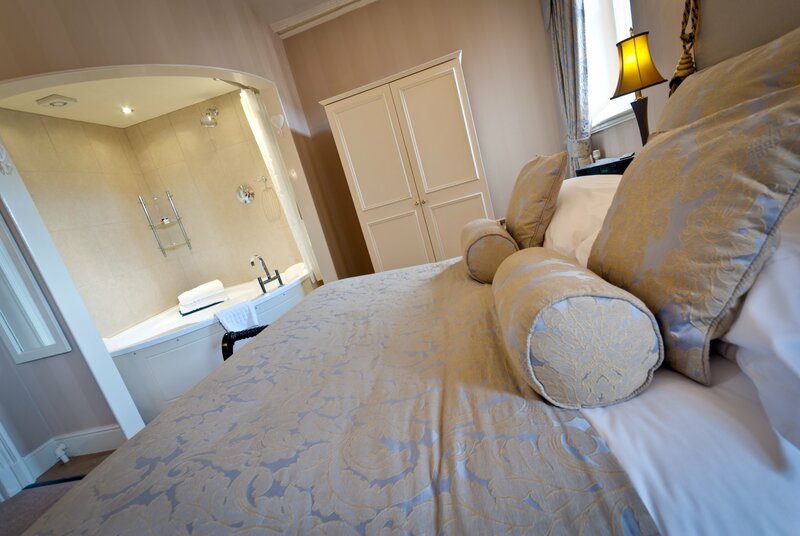 There’s a choice of 29 beautiful rooms available, including the stunning suite- which comes complete with a resplendent two people Jacuzzi bath, or the Historical Four Poster- where you can sleep in a 16th century Oak four poster! There are family options on offer, with dogs more than welcome too. The kitchen at the Castle Hotel, Conwy is led by Head Chef Leigh Marshall. 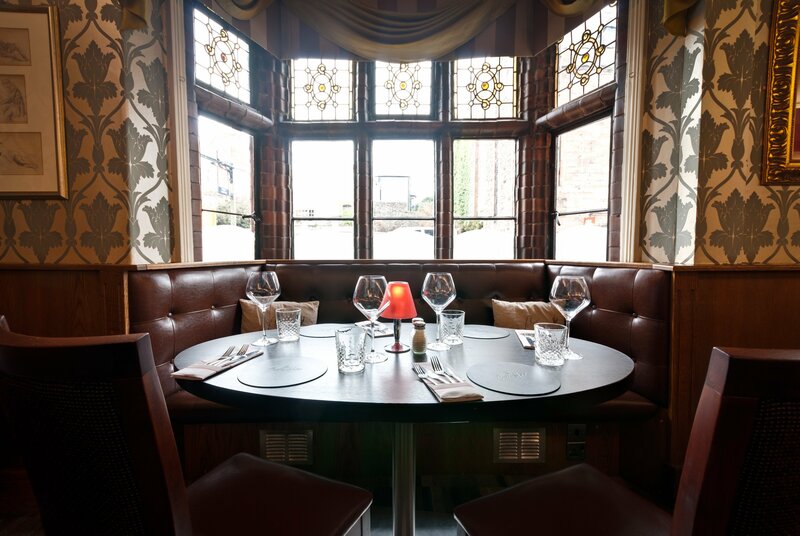 The kitchen team prides themselves in using locally sourced artisan produce from nearby suppliers in north Wales. Just a few minutes’ walk from the Castle Hotel you will find The Smallest House in Great Britain, a national treasure which attracts visitors from all over the world every year. Measuring just 72 inches wide and 122 inches high, it is a quirky little attraction that really does have to be seen to be believed. Equally as close by, classed as a World Heritage site, Conwy Castle is amongst the finest surviving medieval fortifications in Britain. From outside the castle walls its distinctive outline appears to almost emerge out of the rocky outcrop it stands on, then once inside the battlements you can see the breath-taking views of sea and mountains. Weather permitting, take a stroll round the beautiful Bodnant Garden, a world famous garden, home to national Collections and Champion Trees and stunning views round every corner. There couldn’t be a better location for outside dining, with two catering outlets and plenty of picnic spots. Take a short drive into nearby Llandudno and take a ride on the Great Orme Tramway, one of Britain’s only remaining cable-operated street tramways and one of the few surviving in the world. Relive the experience of travel more than 100 years ago and journey up to the Summit where you will be rewarded with breath-taking views stretching as far as the Isle of Man, Blackpool and the Lake District on a clear day! Set in the lush green Conwy Valley in the lee of the Snowdonia mountains amongst the woodland and wildlife is something entirely unexpected… a revolutionary world-first inland surf lagoon. Surf Snowdonia is the perfect day out for adventure seekers, with a powerful 2 metre wave that rises at the centre of the lagoon and peels perfectly for 150 metres. It’s a surfer’s paradise! Undoubtedly, one of the main things that bring people back to the area time and time again is nearby Mount Snowdon. There’s a Snowdon adventure to suit every walker and with lots of routes to choose from it’s a good idea to do your research before you set off. If its tranquillity you’re after, try climbing the shapely ridgelines of the ‘Rhyd-Ddu Path’ and descending on the knee-friendly contours of the ‘Snowdon Ranger Path’, which explores 8 miles of the quiet west side of Snowdon. Chances are the only walkers you’ll cross paths with will be at the summit! Or, if you crave adrenaline, relish heights and love scrambling then the 7 mile ‘Snowdon Horseshoe’ of the ‘Crib Goch’ and ‘Y Lliwedd’ paths is for you. Alternatively, take a scenic hour drive to the glorious Harlech Castle, overlooking the Irish Sea. Dating back to the 13th Century this impressive Medieval fortification is spectacularly positioned on a near-vertical cliff face, making for some awe inspiring views. Don’t forget to pop into the delightful little town of Harlech afterwards for afternoon tea or artisan ice cream. For an inspiring day out there’s the nearby Slate Llechwedd Caverns, about 45 minutes from the inn. Travel deep into the underground mine, where a guide will take you through huge subterranean caverns to show you what life was like for a Victorian family at work. Above ground there is a downhill bike track and a zip line, which offers spectacular views over the moor, mountains and mine – all whilst travelling at an exhilarating 70mph! 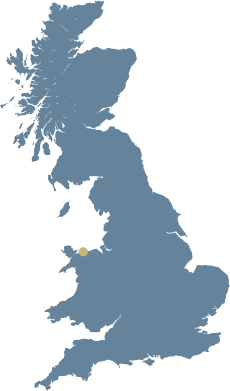 Quay House (The Smallest House in GB) – on the doorstep! Conwy – on the doorstep! 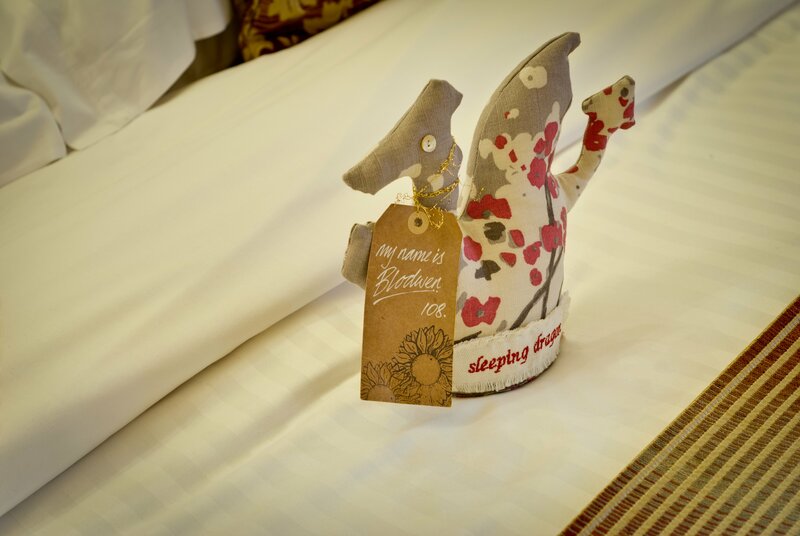 All guest rooms are dog friendly with a £10 charge per dog per night. Call or mention when booking online to request. 2 small or 1 medium/large breed is welcome per room with a dog friendly dining area (The Snug) on site too. Dog bowl, dog bag, doggy treat and dog bed (cushion) provided in room when guests mention number of dogs, type of dog and their names.